The Egreta Hotel believes in ecological responsibility! We directly support through our activities the protection of a unique ecosystem and we urge all our guests to take care of the Danube Delta! Danube Delta is a unique destination, a legacy that we leave for the future generations. And they, like us, need to conserve and maintain the balance of this protected ecosystem. Therefore, the Egreta Hotel uses many local organic products to help preserve and sustain the environment. If you visit the Danube Delta with friends or family, the private tours are perfect for relaxing days. You will admire the beauty of the Danube River with its hidden canals and you will see the unique flora and fauna at the board of our boats with all the facilities that you need. 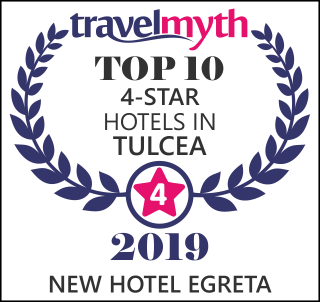 The Egreta Hotel is the ideal destination for those in search of adventure, but also for those who just want to disconnect from the rhythm life has in the big cities. If you are an amateur or professional fisherman, if you are looking for extreme sports or if you just want to relax by the pool or spa, the Egreta Hotel is the perfect destination in the heart of the Delta.